When people are asked to name the most popular social media network, Twitter is often second only to Facebook in the minds of consumers. However, Twitter’s popularity has come at a price. On a platform where anyone can talk to anyone, Twitter executives have struggled to tackle abusive behaviour from members. Twitter recently announced new changes that will hopefully curb online abuse on the platform. Unlike Facebook, where each user has multiple privacy options for who can send them messages, see their content, or tag another user. To illustrate, a person can make it so only people on their friends list can see their content. On Twitter, it’s the opposite, where everyone can see almost anything posted on Twitter and comment on it. This has been a large problem for Twitter on multiple fronts. It’s a selling point that Twitter is a place where everyone can talk to everyone, but people on differing sides of a cultural debate can find themselves flooded with vitriolic comments and death threats. It’s a situation where many people, including celebrities, have ceased to use Twitter entirely because of the issues. And for businesses who are planning a social media strategy, Twitter’s troll problem is a strong deterrent for putting a business on the platform. So over the couple of years, Twitter has unveiled several options to help control the problem without killing the spirit of the platform. 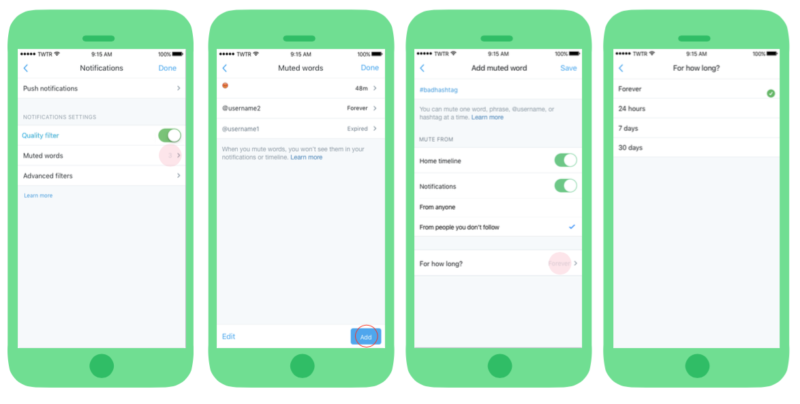 Earlier this year, Twitter introduced a feature where users can mute certain hashtags, words, emojis, etc. from showing up in their notification feed. This meant that users wouldn’t be bothered by push notifications telling them someone had tagged them in an unflattering list or was trying to annoy them by using offensive hashtags in tweets to the person. In some ways, it’s a somewhat cynical way to handle the issue of abuse on Twitter. People who enjoy being jerks to people on Twitter (for some reason) were always the first to complain when Twitter suggested a fix that would prevent people from posting offensive content. With this new fix, Twitter is allowing people to say and shout whatever they want to people, but the Twitter users can block the content from ever reaching them. Once people learn how to use this feature to their advantage, people can be as offensive as they want on Twitter, but no one will be listening since most people will choose to block offensive content. Without the angry replies to fuel them, the situation with Twitter trolls may improve slightly. Twitter is even going a step further. Before, Twitter dealt with abusive users as they were reported by other people on Twitter. Now, Twitter’s algorithms can recognize when someone is posting abusive tweets, even if those tweets or the user aren’t reported to Twitter. And when Twitter does deem an account as abusive, it will effectively put that account on timeout. 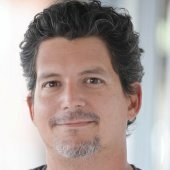 For more recent news about social media marketing, read this article on Facebook’s plans for improving its video marketing options.